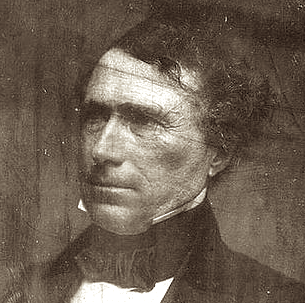 Franklin Pierce, the 14th president of the United States, was often labeled as one of the worst presidents in the nation’s history. This reputation was in sharp contrast to his standing as a successful leader before he was elected president. Pierce held positions as a senator, member of the U.S. House of Representatives, and army general, as well as owning a successful law practice in New Hampshire. He won the 1852 election by a landslide, with a final electoral vote of 254-42. Unfortunately, none of these past successes helped him when he took the presidency in 1853. Pierce’s early life revolved around his education. His parents were invested in their children’s schooling, and they believed that an advanced education would give their children more opportunities than they had been given. After college, Pierce enrolled at Northampton Law School. After being admitted to the bar in 1827, he began his law practice in New Hampshire. Pierce married his wife, Jane Means Appleton, in 1834. They had three children, but unfortunately none of the children lived to see adulthood. Around the same time that he was establishing his law practice, Pierce joined the New Hampshire Democratic Party and became heavily interested in politics. In 1828, he was elected into the New Hampshire State House of Representatives and eventually became speaker. He held various other political positions, including senator, chair of the U.S. Senate Committee on Pensions, New Hampshire district U.S. attorney, and president of the 1850 New Hampshire state constitutional convention. Pierce even turned down a few positions that were offered to him at this time, such as U.S. attorney general. During Pierce’s presidency, he made a few key decisions that caused many of his original supporters to abandon their endorsement of him politically. For example, in 1854 the Pierce administration passed the Kansas-Nebraska Act, which brought the question of slavery in the West back into the spotlight. Unfortunately, many of his Northern constituents believed he was bowing to Southern pressures, and his reputation became severely damaged. Later, during the Civil War, his reputation suffered further when his letters to Confederate President Jefferson Davis, declaring his support of the Confederacy, were made public. Right before his presidency, Pierce’s family, whose train was derailed during a trip near Massachusetts, was devastated when Pierce’s 11-year-old son died in the accident. Furthermore, his wife, who was very religious, feared that the accident was a punishment from God for Pierce’s election as president. Pierce’s bad luck continued into his presidency when he was arrested for running over an old woman while riding on horseback. The charges were later dropped. President Pierce was known as a “Doughface,” a slightly derogatory term used to describe a Northerner who sympathized or supported Southern ideology.